Holds 4 Standard Cupcakes in a 7 x 7 x 4 Inch Cupcake Box. 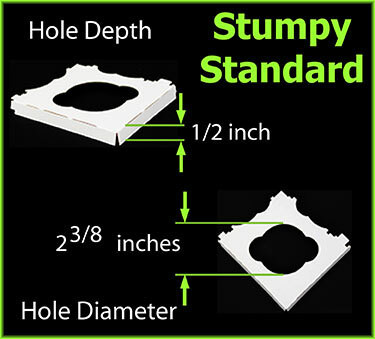 Bakers asked for a shorter standard cupcake insert so we built the Stumpy Standard. This four count cupcake tray is shorter than our original cupcake insert but it is tasked with the same duty - to keep your cupcakes from bouncing around their cupcake box. 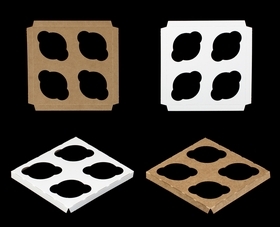 If you are looking for a shorter cupcake insert to secure four of your cupcakes, this stumpy standard insert could be the one that gives your sweets the secure packaging worthy of them. 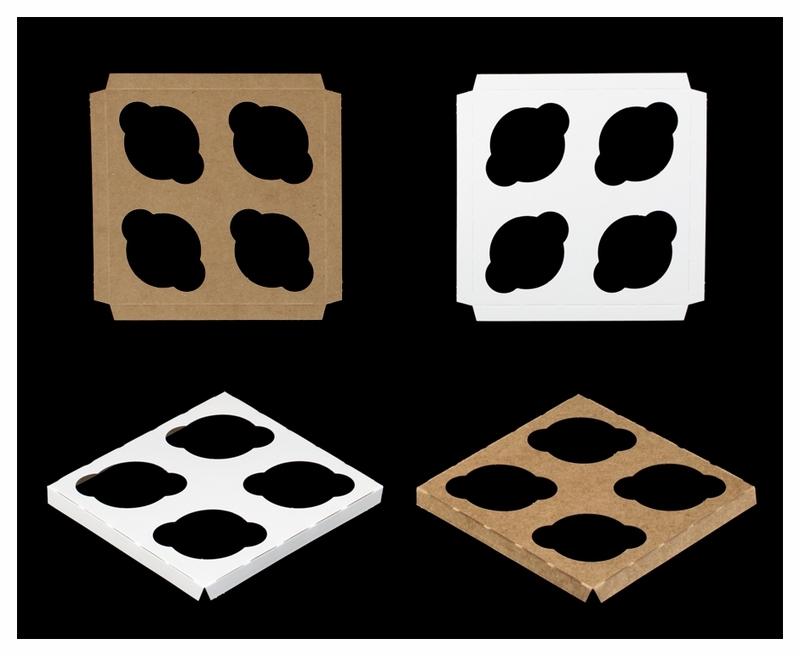 If you're not sure which cupcake insert is perfect for your cupcakes, visit our samples page snag a few to see. I used this box for a cupcake cancer fundraiser and used 145 of these boxes. Couldn't believe how fast I got them. I had to load all 145 of them in my suburban stacked to the ceiling in totes and no problems. No crushed boxes not even a wrinkle! !